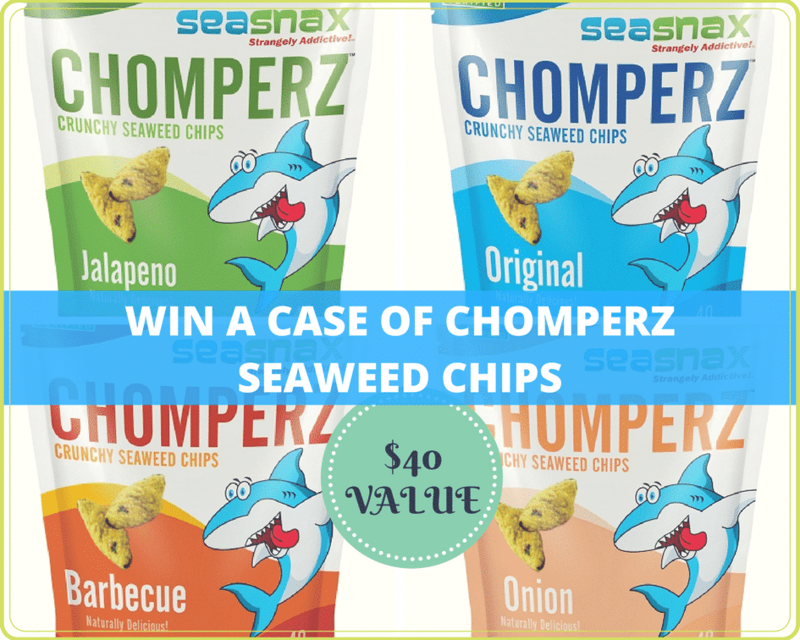 I recently shared my latest food addiction with you guys: the seaweed snacks called Chomperz! Well, now I’m putting my money where my mouth is! Well, technically, it’s not my money. But my mouth is involved kind of. 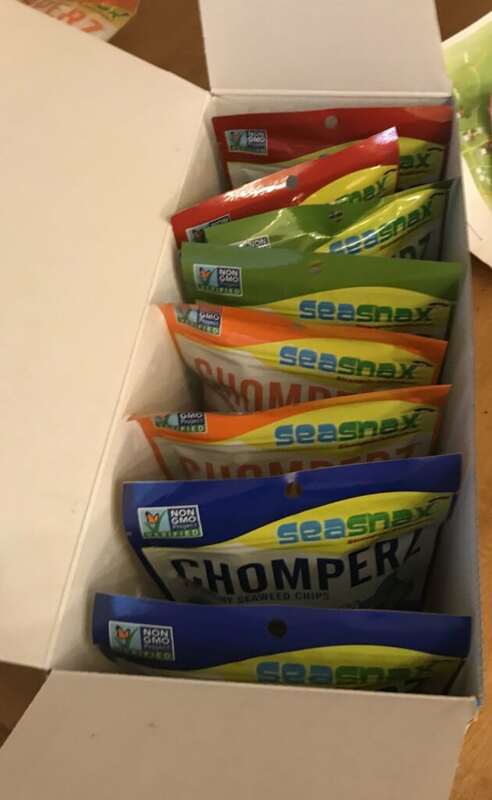 See, I love these different seaweed snacks so much, that the fine fishy folks over at SeaSnax agreed to pony up some of the goods as prizes for you, my hungry readers! Low-fat, low-calories and high on crunch (and protein! ), Chomperz come in a variety of flavors from Original to Jalapeno to Onion. That’s roughly $40 worth of chomper-liciousness! Just fill out the widget below to enter! Have you entered all my other giveaways? Giveaway ends on October 16, 2017 at 11:59 p.m. ET. The 1 winner will be chosen at random and announced on this site. Giveaway is open only to legal residents of the United States (including District of Columbia), who are at least eighteen (18) years old at the time of entry. The 1 Winner will be notified by email and have 48 hours to respond or a new winner will be chosen. I love sushi, but can’t say what my favorite part is. I like it all! I’d have to say any tuna sushi is my favorite. I am not very adventurous with sushi but I do like California Rolls. I also love Korean vegetable Kimbap. I have not eaten a lot of sushi. I like shrimp tempura. My favorite sushi is almost anything with unagi in it! I love the Spicy Tuna roll. Thanks for the giveaway! I’m a fan of the spicy tuna rolls! I love anything with rice! I love the California Rolls. I have never had sushi or Japanese food before. I’ve never tried sushi before. I love pork potstickers. I like a bunch of the specialty rolls but I also love spicy California rolls!